A visit with Dr. Google? Do you often search the Internet and self-diagnose health concerns rather than visit a real doctor? You’re not alone. A Pew research poll found 35 percent of Americans go online to figure out their medical condition or that of someone else. While 41 percent of these respondents said their doctor confirmed the self-diagnosis, 35 percent never visited a doctor to get a professional opinion. Meanwhile, about 18 percent of people who did see a physician learned their self-diagnosis was incorrect. 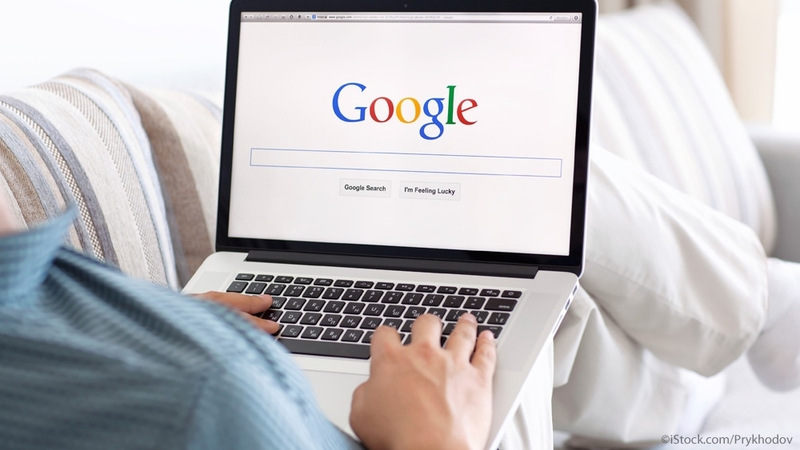 With the volume of medical information available online, it’s not surprising that people resort to Google to figure out what is going on with their medical symptoms, but conflicting recommendations and possibly outdated information can make it dangerous. Searching symptoms on the Internet is so common it’s got its own name: cyberchondria. It’s hypochondria fueled by online browsing, where, in the patient’s mind, symptoms of a cold become cancer. Often, patients will present doctors with a so-called “Google stack,” a pile of printouts with pictures and symptoms of potential diagnoses. “People have always self-diagnosed, but now with technology there’s more affirmation available,” said Dr. Ken Dunham, a psychiatrist and medical director for Novant Health behavioral health services who is based in Winston-Salem, North Carolina. What consumers encounter when searching websites for medical information is a list of symptoms or causes from the most common and least harmful – say a headache, for example – to something dangerous that can kill you, such as brain cancer, said Dunham. “The information that isn’t provided is the percentage chance that it is a tumor or that it will kill you,” he said. Jackson expressed a similar sentiment. “There’s a lot of erroneous information on websites and people researching things can get very anxious sometimes and draw the wrong conclusions,” she said. Dunham agreed that it’s important for consumers to educate themselves on medical issues. However, it becomes difficult to talk about medical conditions with some patients who have hypochondria or psychosomatic symptoms, he said. “About half the patients seeing a primary care doctor have anxiety or depression and it presents in somatic complaints,” Dunham said. A somatic complaint or somatic symptom disorder is characterized by chronic physical symptoms accompanied by anxiety and preoccupation with those physical symptoms. The National Library of Medicine has a full page of links on finding and evaluating health information online. It advises consumers to consider the source of the information. Is it provided by the government, a university or a health organization? Is it unbiased and peer-reviewed? Is the author a medical professional? Trusted sites include the Centers for Disease Control and Prevention, the National Institutes of Health, and major hospital and university websites. Medical journals are good sources of information, but they are written for a professional clinical audience and subject to misinterpretation by the average person. Dunham advised people to ask their doctor for a favored website. “The American Academy of Family Physicians is a wonderful website with good information that is understandable,” he said. Jackson reminded consumers that no matter how well-researched their self-diagnosis, it’s important to seek a professional diagnosis either in person at the office or via an e-visit or video visit.